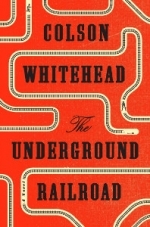 The Morrill Memorial Library’s monthly Turn the Page Book Group will meet again on Wednesday, February 20 at 10 am and 7 pm to discuss “The Underground Railroad” by Colson Whitehead, a magnificent tour de force chronicling a young slave's adventures as she makes a desperate bid for freedom in the antebellum South. "Cora is a slave on a cotton plantation in Georgia. When Caesar, a recent arrival from Virginia, tells her about the Underground Railroad, they decide to take a terrifying risk and escape. Though they manage to find a station and head north, they are being hunted. Their first stop is South Carolina, in a city that initially seems like a haven. But the city's placid surface masks an insidious scheme designed for its black denizens. And even worse: Ridgeway, the relentless slave catcher, is close on their heels." Copies of the book in a number of formats will be available to pick up at the Circulation Desk. Light refreshments will be served. To sign up for either the morning or evening session, led by Patty Bailey and guest host Nancy Ling, please call 781-769-0200, x110, fill out the form below, or stop by the library Reference or Information desk. Capacity: 39 of 45 spaces available.